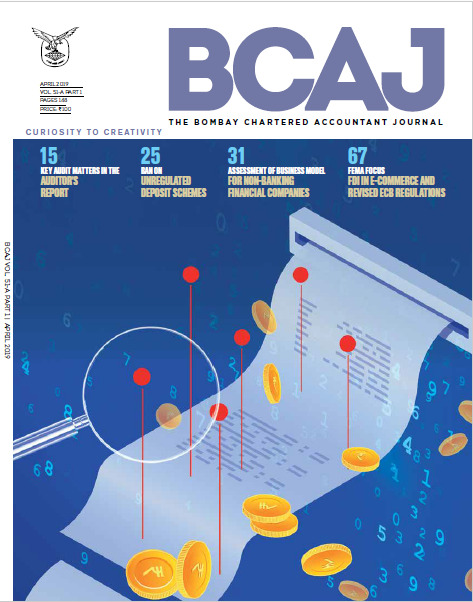 India has already embarked on the journey towards adoption of Indian Accounting Standards (IndAS) with effect from the financial year ended 31st March, 2017 in two phases for prescribed classes of companies other than the financial service entities. This journey continues with the next phase of adoption of Ind As by Non-Banking Finance Companies (NBFC) in two phases commencing from the accounting period beginning 1st April, 2018. Whilst there are several implementation and transition challenges, by far the biggest challenge for NBFCs lies in implementing and designing an Expected Credit Loss model for making impairment provisions for financial assets. The initial plan of the MCA was to implement Ind AS for the entire gamut of financial service entities covering NBFCs, banks and insurance entities, which has been deferred by a year for banks and by two years for insurance companies. Accordingly, the discussion in this article is restricted only to NBFCs. It may be pertinent to note that the RBI had constituted a Working Group to deal with the various issues relating to Ind AS Implementation by Banks which had submitted a detailed report in September 2015, which may be equally important and relevant to NBFCs since there is a fair degree of similarity in their business models and the same would be also taken into account in the course of our subsequent discussions. Apart from the said report there has been no other regulatory guidance from the RBI or other sector specific regulators, except from the National Housing Bank (NHB), which regulates Housing Finance Companies, which is discussed subsequently.